During the 1970s and '80s, - TRT state radio and television in Turkey - permanently banned all musicians who performed "arabesque" music as state policy. Instead, they chose "Western music with Turkish lyrics," also called "light music." People couldn't see or listen to the giants of the most popular genres of modern Turkish music on state TV or radio, the only public broadcasting channels for decades. On the other hand, some "light" musicians having the opportunity to be aired on state TV and radio were not far from the notorious "arabesque" with regard to their melodies and lyrics. In particular, two divas of light music, Ajda Pekkan and Sezen Aksu, were adored thanks to the arabesque tunes they used to sing. It was a shame that Orhan Gencebay could not sing "Zelzele" (Earthquake), which he composed, on TV or radio, but Sezen Aksu could. Indeed, Sezen Aksu and İbrahim Tatlıses flouted the arabesque ban on TRT with their pop or folk songs with arabesque notation. Sezen Aksu was born Fatma Sezen Yıldırım on July 13, 1954, in Sarayköy, Denizli in the Aegean region. Her family was originally from Thessalonica and migrated to Turkey during the migrant exchange between Turkey and Greece in 1924. Aksu's mother Şehriban was a science teacher, while her father Sami, originally from Pazar, Rize in the Black Sea region, was a mathematics teacher in Sarayköy. The Yıldırım family moved from Sarayköy to İzmir when Sezen was three years old. She would compose, write and sing many songs in homage to her homeland. Like many other artists, Sezen Aksu was fond of the arts in her childhood, and she received lessons on stage acting, dancing and painting. Little Fatma Sezen, called "Dwarf the Danger" since she was a nasty little girl, dreamed of becoming a belly dancer. Though her teacher parents sought to discipline her, she had crazy attitudes. While in İzmir High School, Fatma Sezen joined the Golden Voice Contest held by Haftasonu (Weekend) magazine and came in sixth place, which was not a triumph for the star-wannabe. Many people don't know about the unsuccessful entrance of Aksu into the music industry. She was never "discovered" as in the case of great talents such as İbrahim Tatlıses, Müslüm Gürses or Nükhet Duru. Sezen clawed her way to success. Aksu enrolled in the Faculty of Agriculture at Ege University in 1973, but never graduated. She was determined to become a famous music star. She left school in the second year and began taking music lessons from artists of İzmir Radio. Meanwhile, she was writing songs and sent three separate records of her own songs to a company but never heard back. Sezen Fatma Yıldırım married Ali Engin Aksu in November 1973. Finally, Aksu made it to Istanbul and made her first single with two songs, which gained her a bit of attention by the music industry but no fame. She didn't sell many discs. Many people would be surprised to learn that she was called Sezen Seley on the initial disc. Aksu decided to make a second single with two of her own songs this time. The disc sold more than the initial one. So, she began to sing on stage as well. She made a few singles during the second half of the 1970s. Aksu's third single, "Allahaısmarladık" (Farewell), was her first success. The song made the charts in 1976. She made her first LP, "Serçe" (Sparrow), in 1978, featuring some of her own songs. The media began calling her "the little sparrow," which was her nickname until recently, though some in the media still call her the little sparrow, which is much better than her nickname as a child: dwarf the danger. Aksu was imitating Ajda Pekkan's singing style. 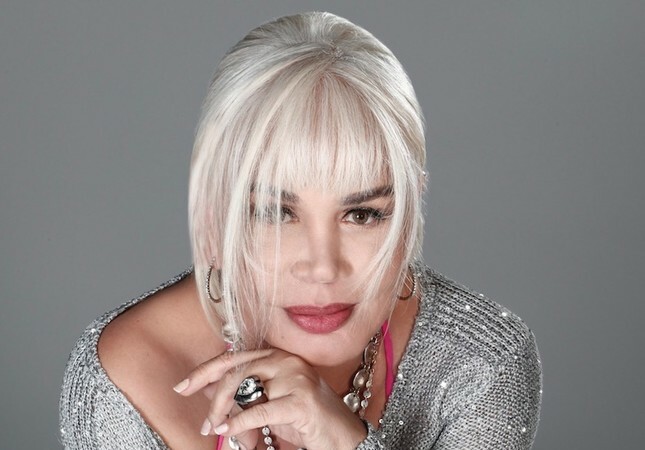 Though she made several LPs and even acted in a film, "The Sparrow," she couldn't surpass Pekkan until her first great hit, "Sen Ağlama" (You Don't Cry), which she made with the famous composer and arranger Onno Tunç in 1984. We were small kids when the Sezen Aksu LP "Sen Ağlama" was released, and all ages listened to and sang the song. Aksu's hits are like that. You listen, have friends listen and sing the hit song for days or weeks or for years in some cases. The uniqueness of her singing and the sentimentalism crushed people. She finally left the shadow of Ajda Pekkan's style and created her own singing style, a mixture of poetry reading, singing, screaming and cursing. Though her voice is not so deep or colorful, she has her own style and puts her stamp on songs she writes. Aksu's following albums, including "Git" (Go/Don't Go), "Sezen Aksu '88" and "Sezen Aksu Söylüyor" (Sezen Aksu Sings), helped her becoming the number one Turkish pop singer. Dozens of her songs were sung by the whole nation. Sezen Aksu yielded the 90's pop music tastes in Turkey. Her background vocals including Sertap Erener, the Turkish Eurovision winner, Levent Yüksel, Aşkın Nur Yengi, Hande Yener and Göksel became the most famous pop singers. In addition, she wrote many songs for various singers and groups. Sezen Aksu pop can considered a unique genre in contemporary Turkish music. A poet, Aksu wrote about a thousand songs, three hundred of which became hits. She likes mixing genres, including arabesque, Turkish classical music, Sufi music, Balkan music, instrumental world music, etc. Aksu's lyrics are mainly about frustrated female love. She also uses eroticism and mysticism in various songs. Politically, she belongs to the secular circles of Turkey though she made a mystical album in 1995, "Işık Doğudan Yükselir" (Ex Oriente Lux), including verses from Mevlana and Yunus Emre, famous Turkish mystics, which opened her music to conservatives as well.